For those who prefer using natural materials, building a straw bale house may seem like a great option. The material is eco-friendly, fairly affordable, and reasonably easy to work with, making it an appealing approach to building a home. However, there are also pitfalls to using straw bales for construction. 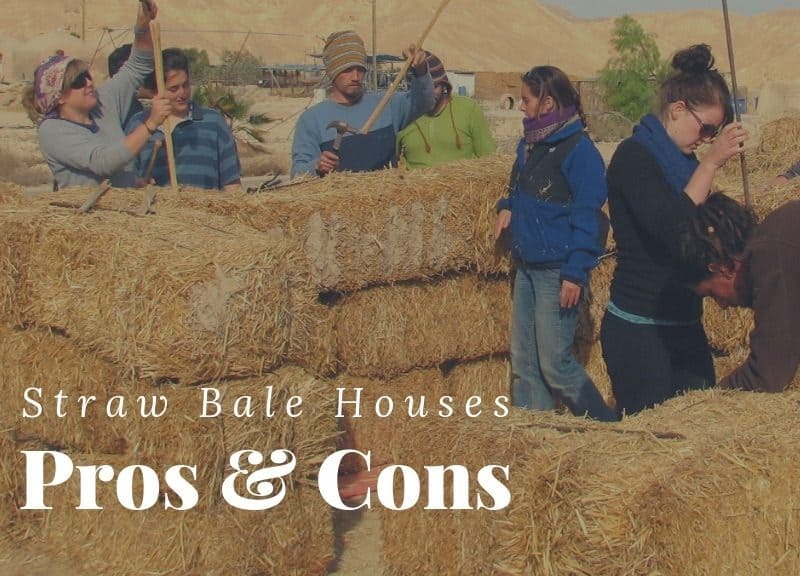 If you are wondering whether a straw bale house may be right for you, here are some pros and cons to consider. Straw bale houses do have some advantages. They are not overly expensive to build and tend to be energy-efficient. Plus, they are one of the eco-friendly options that are widely accessible. Here is a closer look at the advantages of straw bale homes. Straw bale houses are incredibly eco-friendly. Straw bales are typically an agricultural by-product, one which would go to waste if not used for projects like house building. Plus, straw is highly renewable. It can be regrown each year instead of the decades it can take to grow trees for producing lumber. Harvesting the straw also requires very little energy and the bales cost less to transport than wood, concrete, or steel thanks to their lighter weight. Typically, straw bales contain fewer toxins than many other conventional building materials. 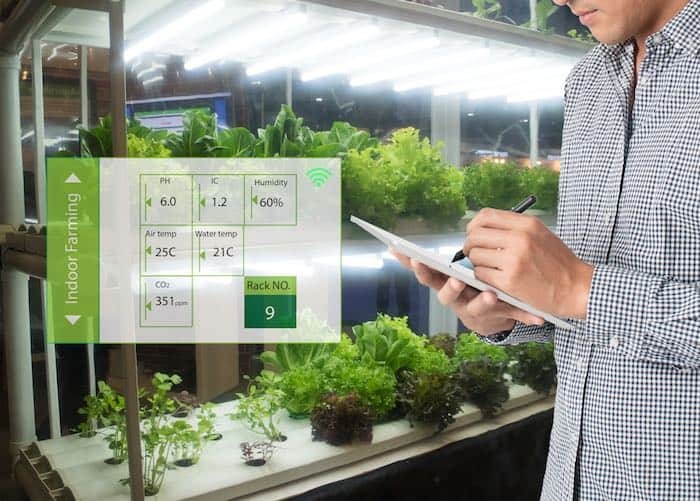 This can make them healthier alternatives to use in construction. 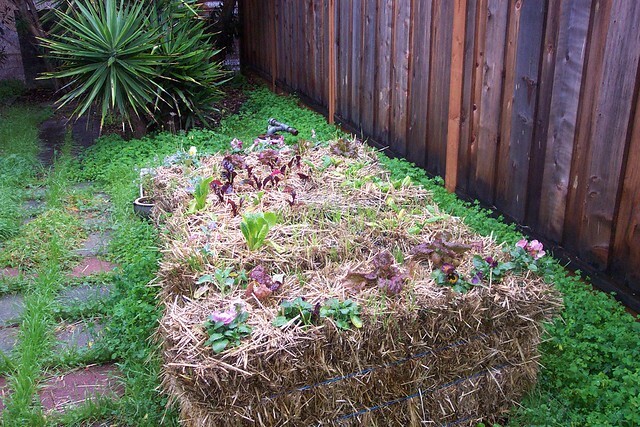 If you want to build an efficient home, straw bales are a great choice. The high insulation factor means it costs less to heat or cool a house made of straw than certain alternatives. The material has a natural trombe effect, allowing it to store heat or coolness and release it to keep your home’s temperature comfortable. Straw bale walls are very accommodating. Not only can the be stacked and configured to give you an ideal room size, but the walls can be cut and shaped using a knife or chainsaw, giving you additional options. When you build with straw bales, the cost is comparable to a stick built home. This can make it one of the more economical alternative construction approaches. Since straw bales are tightly packed, they do not burn as easily as certain other materials. The tight packing reduces airflow, something that is critical to sustain a fire. While there is some fire risk during the construction phase (as is the case with many building materials), once the home is finished, it’s flame retardant nature decreases the risk, usually resulting in a home that better resists burning than a traditional stick built house. Within the continental US (lower 48 states), local straw bales are almost always available locally. 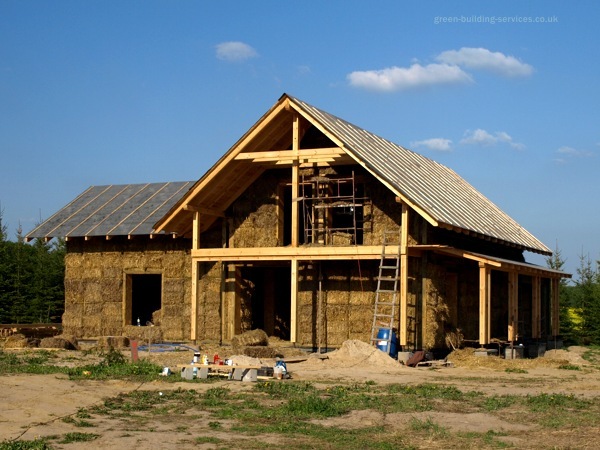 Building a straw bale house isn’t as complex as using traditional building methods. Usually, as long as one member of the construction team is highly knowledgeable, they can guide everyone else along. This is particularly convenient if you have limited access to skilled or experienced construction labor, as nearly anyone with the physical capability necessary can participate in construction. Straw bale houses have a variety of amazing aesthetic elements. The deep windows and niches are a common favorite, often providing enough depth to function as a seat or large shelf. Plus, the slightly uneven nature of straw bales gives the walls a finished yet rustic feel, which some people appreciate. 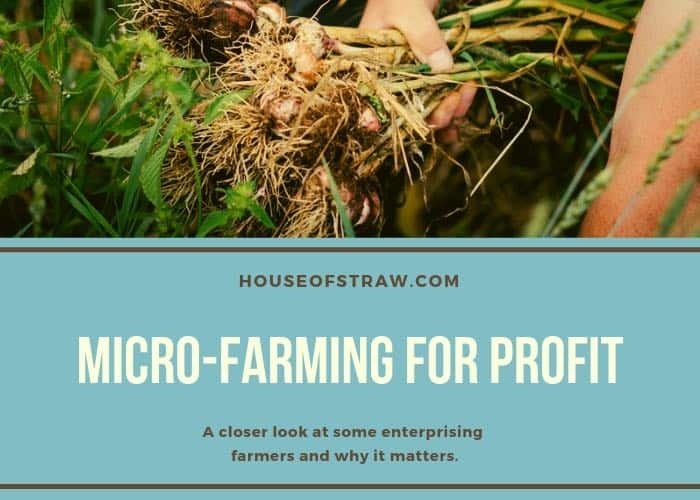 It doesn’t take much energy to grow and process straw. Aside from sunlight during the growth phase, the only other energy that is required occurs during the bailing process and when the bales are transported. While a straw bale house can last for more than 100 years when constructed and maintained properly, the core material can be returned to the earth if rebuilding becomes necessary. 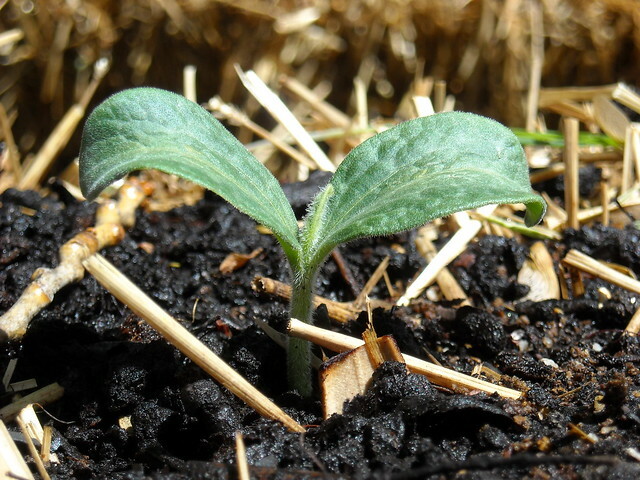 With a bit of plowing, the straw can be added to soil and will decompose quickly without harming the environment. In comparison, fiberglass – a common traditional home insulator – can be hard to dispose of properly and isn’t biodegradable. While there are plenty of great reasons to consider a straw bale house, there are some risks to using this construction approach. Here is a closer look at the disadvantages of straw bale houses. While some may appreciate the unconventional nature of a straw bale house, it can also create some challenges. 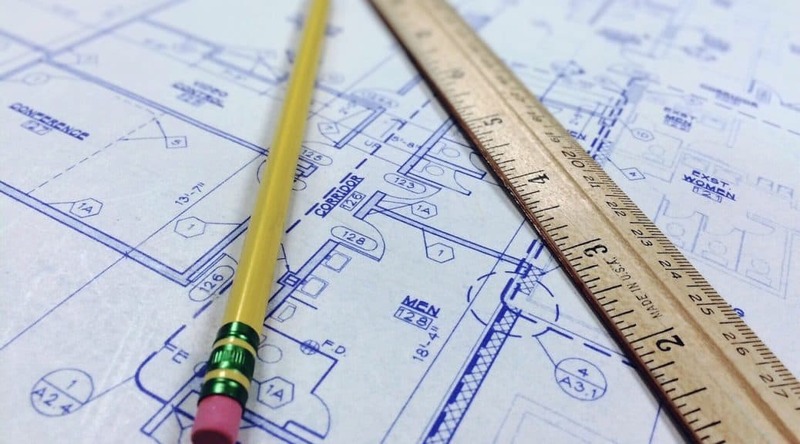 Structural engineers may not be familiar with the building approach, making it hard to get solid plans. Inspectors in your area may also not be well educated about straw bale house construction, making it difficult to get passed during the inspection phase. Similar to the point above, getting building permits for a straw bale house might be challenging as well. City officials may be uncomfortable with the concept, especially if you are not in an area where it is a widely accepted building method. 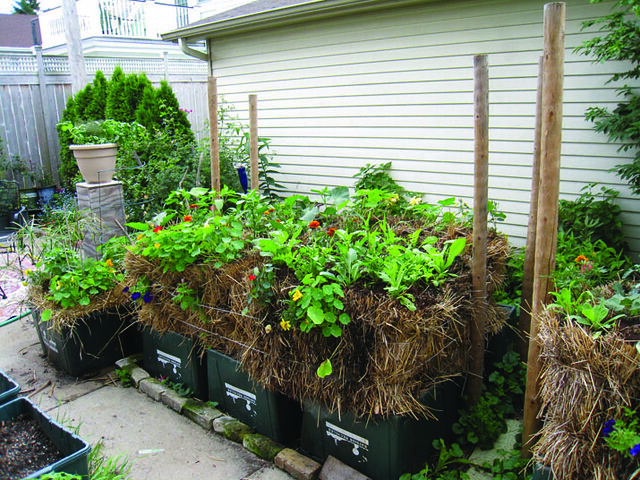 With straw bale homes, pests can be an issue. Insects and rodents may try to take up residence in the bales, especially when they are exposed during the building phase or are not properly finished and maintained over time. The thickness of a straw bale wall means you are sacrificing some interior space. They are typically 18 inches thick, which is substantially thicker than a stick built wall covered in sheetrock, which is usually closer to six inches thick. As a result, if a straw bale home and stick built house have the same footprint, the straw bale structure actually has less functional interior square footage. If not properly built, it is possible to end up with gaps between the bales. This can create thermal breakpoints, harming the energy efficiency, and could allow pests into the material or your home. 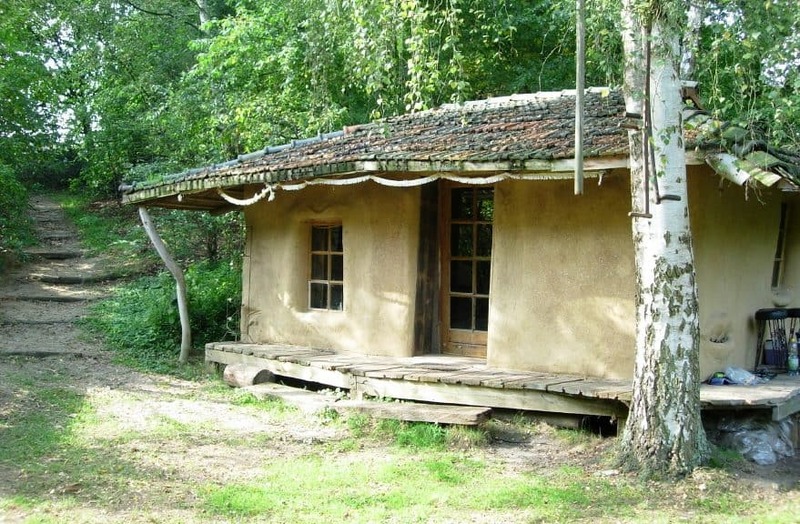 Straw bale houses are usually covered in plaster once the structure is constructed. Without proper maintenance, plaster can quickly degrade. This may allow water to penetrate the bales or to enter the house, increasing the odds of water damage and mold or mildew. When you build with straw bales, you don’t use wood to support the structure. As a result, the walls do not have studs, so hanging anything from pictures to shelves to cabinets is more complex. This means you may need to look into alternative hanging methods or use furniture pieces that rest on the floor for storage. Working with straw can lead to irritated skin. During the building process, the material can be a bit abrasive, and some people may be allergic to the material. Straw can also be a lung irritant. 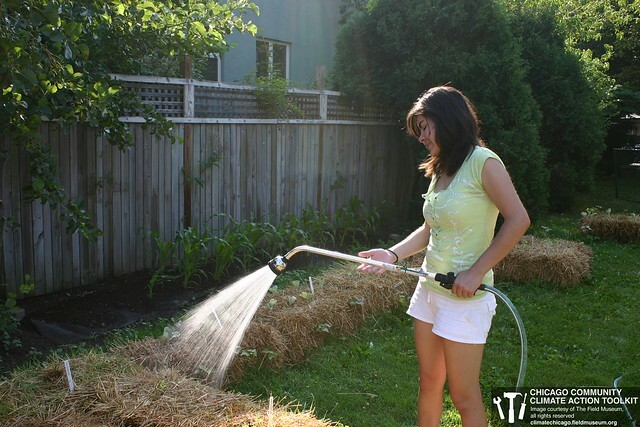 The straw dust can be bothersome, particularly if you are jostling the bails or cutting them with a chainsaw. Usually, the best thing to do is protect your lungs, mouth, and nose by wearing a breathing filter. Wearing protective eyewear can also keep the dust out of your eyes. However, if you have an allergy, this may be insufficient. While learning to build with straw bales isn’t inherently difficult, it is different from using traditional building techniques. There is a learning curve to contend with, so the build may take longer than you expect depending on how quickly you become comfortable with the material and approach to construction. Straw bales need to be kept dry. Moisture can lead the bales to decay, mold, and even collapse, creating a potentially dangerous situation. If you live in a wet climate, protecting your straw bale home from the elements is particularly daunting. While a high stem wall, long overhanging eaves, and plaster can help, these precautions can fail. 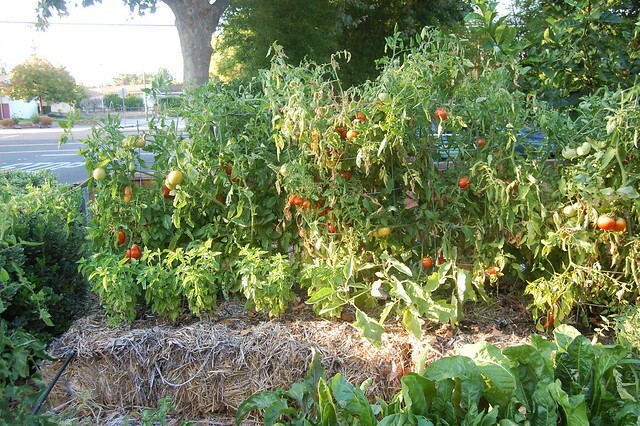 And, once a straw bale is wet, it may never fully dry. High humidity environments aren’t ideal for straw bale houses either. Since there is a higher moisture content to the air, the bales are more likely to absorb some of the water. Plus, getting the bales dried out again may be impossible in a naturally humid region. Straw bales are usually both heavy and large. Moving them can be laborious, and stacking the bales may be outside the physical capability of some people. Securing an able-bodied work crew can be expensive too. While labor costs are a concern for any project, you may be surprised at home much the labor aspect factors in when constructing a straw bale house. Since straw bale homes are built using a stacking technique, they can be susceptible to structural movement. This can lead to cracks in the plaster and even the collapse of a load-bearing wall, especially if the house wasn’t built well in the first place. Anything from foundation issues to high winds to seismic activity on a small scale can promote movement, as there isn’t a frame to support the house. 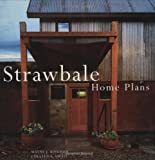 With the ever growing interest in sustainable home construction, we get plenty of questions about building straw bale houses. Today, we will cover the most frequently asked straw bale house questions. We hope our answers to these common questions will enhance your understanding of straw bale building. 1. What is a straw bale house made of? In the simplest terms, a straw bale house is a house that uses bales of straw as a main construction material. We go further in-depth about the basics of straw bale houses in this article. 2. How much does a straw bale house cost? The cost of a straw bale house will vary depending on where you live. However, the average cost is $2,700 per square meter. The minimum cost for a similar size of a custom designed house is $2,800. Remember that these prices are just estimates. Therefore, we recommend that you get a quote from your contractor for the set price. 3. Why should I build and live in a straw bale house? There are numerous benefits of straw bale houses. These houses are natural and have no impact on your health or the environment. Their construction materials are locally and readily available. A straw bale house is physically appealing and attractive. Such a house will have a high energy rating. Owing to their high quality, straw bale houses last longer. If maintained well, these houses can last up to 100 years. We cover more straw bale house pros and cons in this article. 4. Is it possible to design and build a multi-storey straw house? Yes. The ability to build a viable multi-story building is dependent on several factors, such as its design and the area of construction. For instance, if you wish to build in a seismic-free area, you should not worry about the height of your house even though bale construction is considerably heavy. 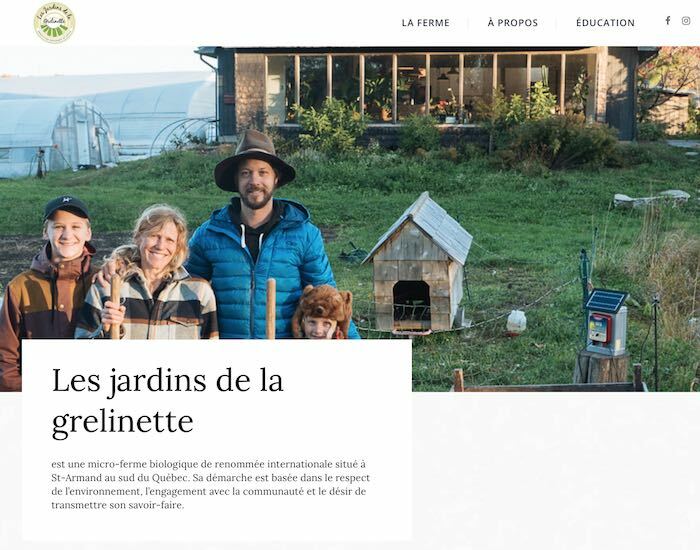 Therefore, if you are building in earthquake-free zones, you can have a story straw bale building. 5. How thick is a straw bale wall? The standard thickness of a completed straw bale house wall is at least 18 inches thick. 6. How long does it take to build a straw bale house? The time needed to build a straw bale house is highly subjective and ranges anywhere from 4 to 10 months. If you have a custom made house, the contractor might spend even longer. It can often take between 1 and 1.5 years to get ready for the construction process. This time is needed to complete the plan and design drawings as well as submit all the necessary information to the council for approval. The contractor will also require a few months’ notice to plan for the construction. 7. What is the main difference between straw bale and cob construction? 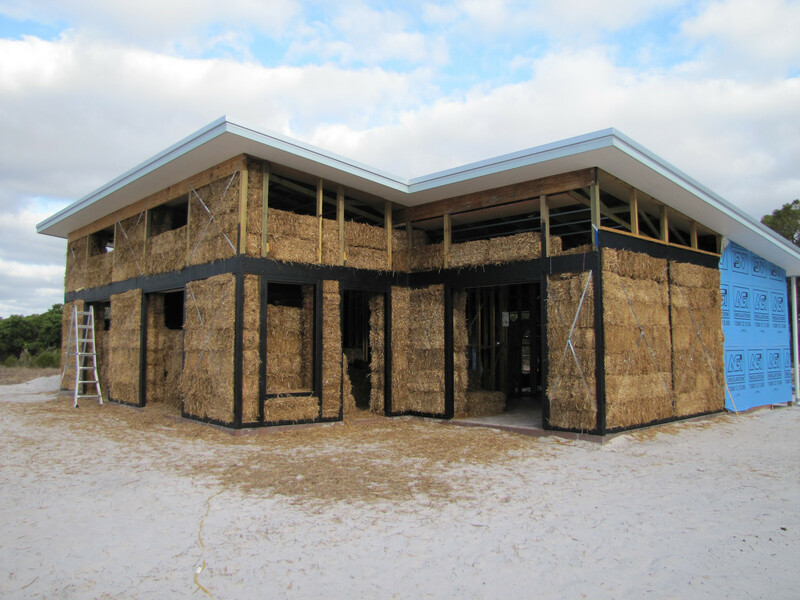 Straw bale construction ensures better insulation as straw bales are effective in holding in heat and keeping the interior of your house cool or warm depending on the time of the year. 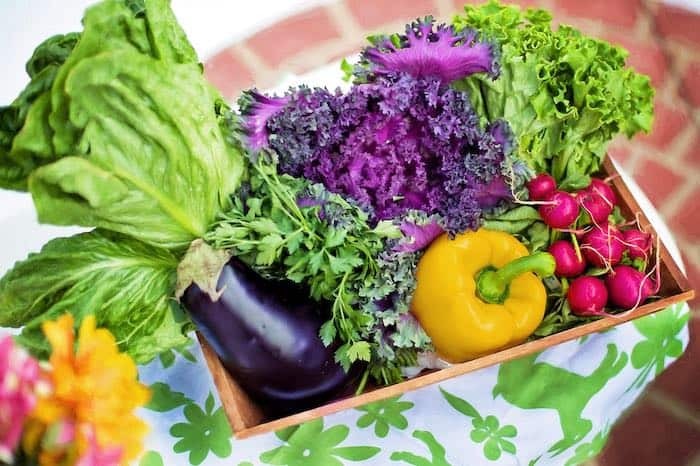 On the other hand, cob construction acts as a thermal mass as cobs absorb radiant cooling or heat and then releases it slowly while cooling off. Further, cob construction requires considerably more time to complete as opposed to straw bale building. This article provides a good overview of the considerations. 8. Is it possible to fix electrics, gas, and plumbing into the walls? Yes. Contractors can run conduits in straw bale walls. However, it is advisable to use internal stud walls to make it easier for installation or repair. 9. Do straw bale houses rot? If your straw bale home is constructed properly, it won’t rot. The bales are porous enough to breath out the humidity in the air. If you live in an especially humid area, lime-based plasters work best to keep moisture at bay. Have you learned something new? We hope that you found this article helpful. Do not hesitate to post your feedback in the comments section below. It may seem counter-intuitive to live in a house made of straw, but straw bale house construction has many advantages over standard building methods. Not the least of which is straw bale houses are an eco-friendly way to build and live. What is a straw bale house? As the name suggests, a straw bale house is built using bales of straw as the primary building material. These bales can either be load-bearing or be used in filling timber frames. Although these houses were a temporary invention among the 19th-century farmers who relied on wheat crop waste as the only construction material, straw bale houses have been tested and confirmed to be comfortable, warm, and durable. For this reason, these homes are seeing a resurgence in popularity. If you’re still not convinced a straw bale house is for you, read on to learn the top advantages of straw house living. 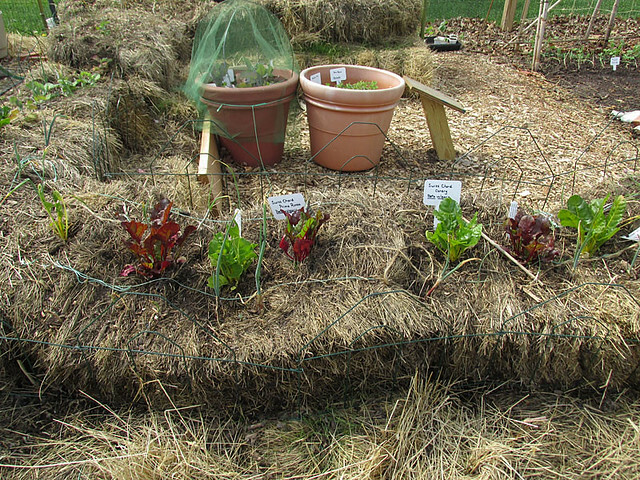 We’ll also outline a few disadvantages to keep in mind if you choose to build with straw. Why should you build and live in a straw bale house? The cost of building a straw bale house is roughly the same as that of putting up a traditional timber-frame house. Find your local straw bale house constructor to calculate and compare the costs associated with building either house type. 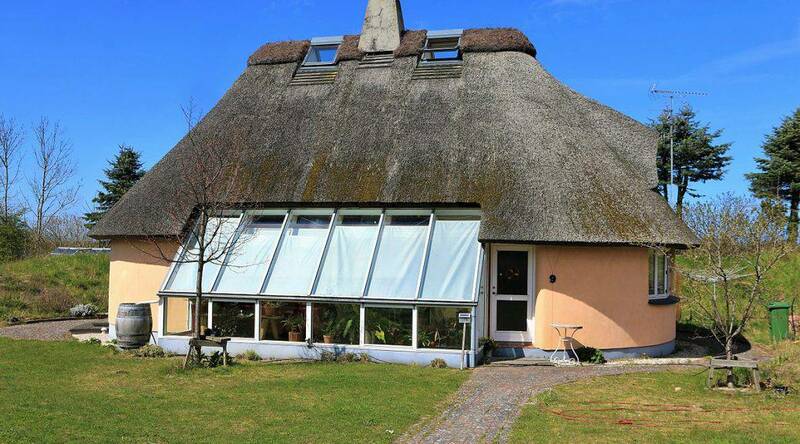 Straw bale houses are known for their excellent insulation. The quality of insulation is dependent on several factors such as building design, type and quality of plaster used, the mesh manner between the roof insulation and the bales, and how you stack your bales. If a straw bale house is built correctly, it provides a 40 to 60 R-value. Choose thicker bales for higher R-values. Wondering how straw can be fire retardant? Numerous studies have been conducted to test the flammability of straw bale houses. Fire resistance is achieved because the bales are tightly packed. Oxygen barely enters between the straws thereby limiting any chance of triggering combustion. While straw bales can burn in certain circumstances such as during construction, it is undeniable that their flame retardant nature is a desirable feature. Straw bales come from agricultural waste products. Once the rice, barley, rye, oats, or wheat has been harvested, the stalks can be baled giving the straw a new life. The bales are renewable each year, and their harvest requires little effort. The process of harvesting and construction further presents little harm to the environment. Since they are easy and light to transport, you are likely to save on associated fuel and transportation costs. You will be amazed how fast your house can be constructed using straw bales. Straw bale house construction easy to learn, even for novice builders. With the supervision of a single knowledgeable trainer, the building process becomes easy and fast. This feature not only makes straw bales a popular building material but also implies that you can save on the construction costs as family members and volunteer crews can help in raising the walls. Because straw bales do not need to conform to right angles, they lend themselves to unique and organic architectural designs. The added thickness of the wall will give you deep windows, bookcases, and niches and your home will feel more at one with nature. Unlike traditional building materials, straw bales are 100% biodegradable. Additionally, your straw bale house can last up to a century if you maintain it properly. Every structure undergoes eventual replacement at some point. When such a time comes, you can plough the straw bales back into the earth. Therefore, disposal is convenient as opposed to other construction materials such as fibreglass. 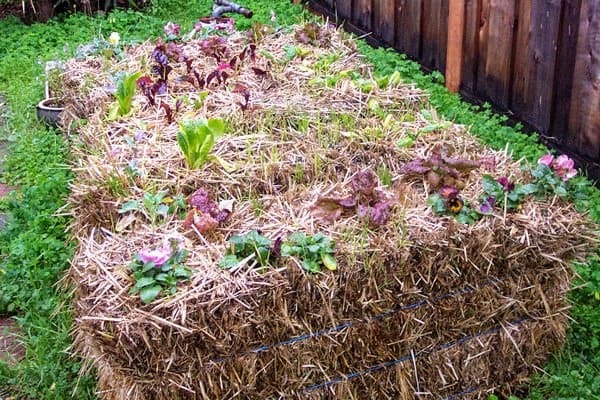 Since straw bales are not conventional construction materials, you or the contractor needs to learn new building techniques. These are not necessarily difficult but are very different from standard practices. If your local building codes do not include provisions for straw bale construction, there can be challenges associated with planning approval. You might need local engineers and architects who have worked with natural materials to help in gaining this approval. You must keep your walls dry to avoid the detrimental effects of moisture on straw. Preventing moisture from your roof from entering the bales is essential. Straw bale houses are not recommended for areas experiencing extreme rain and humidity. Since straw bale walls require between 18 and 20 inches, most of your square footage will be taken up by the wall thickness. If straw bales are not locally available, you may have additional shipping costs and the added challenge of making sure they aren’t damaged during transport. These challenges aside, straw bale houses are a affordable, environmentally-friendly, and unique alternative to standard building practices. It is a home you can build for yourself that will stand the test of time without harming the environment around it.